Both insulation and opening and closing your house effectively can make a very big difference when cooling your house in the summer. In summer over half of the heat gained overall enters your home through your ceilings and walls. This makes insulation one of the most important ways to keep your house cool. Refrigerative air conditioners work best if internal doors to rooms that don’t need cooling are shut. Whereas evaporative air conditioners work differently. Opening specific doors and windows will increase air flow.The increased airflow will then improve the effectiveness of the air conditioning system. Be energy efficient in the winter by adhering to three simple passive solar steps. The cheapest way to heat you home in the winter is to harness the sun’s energy. It is important to open curtains and blinds during daylight. This as well as avoiding blocking external shading with blinds. Heating a larger area will require more energy and hence increase power costs. Close internal doors and only heat areas you are occupying. This will guarantee the best energy efficiency in the winter. Half of your heating in winter can be put to waste through your walls and ceilings. It is very important in terms of heating and cooling to have adequate insulation. 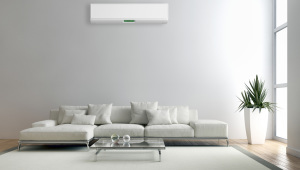 It is important to have the best aircon installation specialists in Adelaide. They can engineer and install the most energy efficient heating and cooling air conditioning system custom fit to your needs. For a free air conditioning site assessment and quote give us a call on 8150 9992. Portable Air Conditioning Fans will soon be for rent at Bigfanair! We are soon to stock Daikin Heating and Cooling air conditioners.